Kenya Simbas dropped in latest World Rugby rankings from position 31 to 32 released on Monday April 15, 2019. 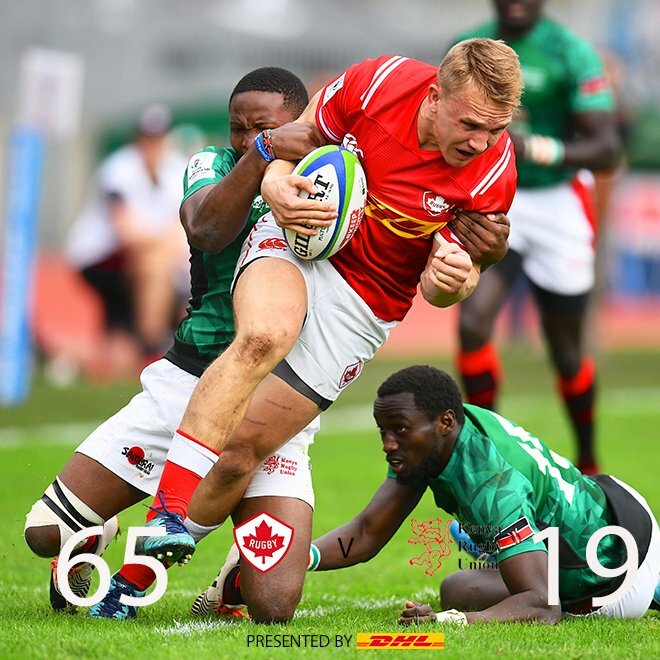 Kenya has 52.79 points as they have not been in action since November 2018. Their next match will be the Elgon Cup in June against Uganda. World Rugby reports that Switzerland moved above Kenya and into 31st place in the World Rugby Rankings after beating Lithuania 34-24 on Saturday to finish third in the Rugby Europe Trophy. The Swiss were outscored four tries to three on a crisp and sunny day in Schaffhausen but the goal-kicking of half-backs, Donovan O'Grady and Jules Porcher always kept the home side in command of the scoreboard. Lithuania drop one place to 34th and as a result, Poland's position is improved. Lithuania now have to wait until 8 June to play the Netherlands in the only outstanding game of this year's Rugby Europe Trophy.